The heart rejuvenation package of Planet Ayurveda is combination of herbal formulations which promotes the heart health along with it, acts as a rejuvenation for the whole body. Total heart support is blend of herbs which collectively reduces blood pressure. Ashwagandha, Arjuna, Brahmi, Jatamansi, Shanskhpushpi, these herbs are beneficial in heart ailments, anxiety, stress and are wonderful adaptogens and antioxidants. 1. Arjuna Capsules – The plant Terminalia arjuna is known for its cardioprotective activities. Terminalia arjuna is a cardio protective herb and is used in Ayurveda since centuries for its cardiotonic properties. In Ayurveda, Arjuna is considered beneficial for various heart diseases like hypertension, cardiomyopathy , coronary artery disease, anginal pain, heart failure and hypercholesterolemia. Arjuna bark is used in its formulations. Terminalia arjuna improves cardio-vascular stamina and lowers systolic blood pressure. It is efficient as an antioxidant ,which prevents oxidation of LDL cholesterol. Arjuna is rich source of natural Co-enzyme Q 10. It maintains the levels of cholesterol and controls blood pressure. Arjuna exhibits cardiotonic activity and provide a salutary effect in CHF, reduces cholesterol and helps the process in formation of new arteries – a process called angioneogenesis. The Arjuna capsules contain standardized extract of bark of Terminalia arjuna. 2. Arjun Tea - It is a 100 % natural herbal tea, without caffeine or nicotine or any regular tea constituents. It’s having more than Green tea antioxidants and loaded with many other important heart friendly, vascular system friendly substances. It’s wonderful for cholesterol and blood pressure. The Arjun Tea ( Download presentation from here) is based on the concept of “Ksheer Pak” i.e. boiling the herbs with milk and water. This preparation in mentioned in ayurveda helps to get both water and fat soluble active constituents of herb to get the maximum effectiveness. The tea contains a spice known as “Dalchini” or Cinnamon, which is native to Indian. It acts as an antioxidant. It remarkably reduces the cholesterol and gives strength to the heart muscles. Arjuna tea helps in reducing blood pressure as it contains Arjuna and cinnamon. The tea is free from caffeine, therefore produces no side effects. 3. Total Heart Support - This is a polyherbal formulation containing various heart rate regulating, anti-anxiety, blood pressure curing and anti-cholesterol herbs. The herbs in this formula are Ashwagandha, Bramhi, Shankhpushpi, Jatamansi. Ashwagandha is classified as Rasayana and beneficial to enhance quality of life, health and longevity of a person. Ashwagandha reduces daily stress and anxiety. Withania somnifera is helpful in general weakness. It improves muscular strength and its neural co-ordination.The main working constituents of Withania somnifera are some alkaloids , glycosides (withanoloids) . It exhibits an analgesic, anti-inflammatory effect. It is effective on anabolic activities. Ashwagandha is beneficial in reducing pain, fatigue, stress, rheumatoid arthritis etc. used as a general tonic, improves Hb level and enhances physical stamina.Withania somnifera helps in delayed onset of fatigue and thus increases the time for exhaustion and maintains the power for longer period. In Ayurveda,the herbs Ashwagandha and Arjuna combination is considered beneficial for cardiac ailments. Arjuna and Ashwagandha together gives strength to the cardiac muscles as a result improves pumping capacity of heart and gives strength of vascular system. They work together to keep the blood pressure in control and reduce the level of stress on heart. Bramhi – Another ingredient in the formula – Total heart support is known as a memory booster in Ayurveda. It relaxes the body and reduces the blood pressure by keeping control on the affects of daily stress on arteries. It increases the stamina of the mind and combats anxiety and stress. Shankhpushpi is another cooling herb in this formula, which effectively reduces mental stress, enhances recalling power and increases mental ability to handle daily work. It helps in reducing blood pressure because of its cooling nature. The plant Jatamansi is useful for the treatment of various ailments related to mind and brain. It is therapeutically used in hysteria, epilepsy, and other mental disorders. it works wonderfully in stress and anxiety because of its cooling nature. All the herbs in heart rejuvenating package of Planet Ayurveda, together work on heart, vascular system, mind and body. As a result this package is beneficial in reducing and maintaining blood pressure. These herbs are rich in antioxidants and lower the cholesterol levels results. 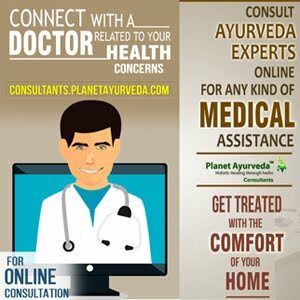 Planet Ayurveda uses standardized organic herbs. All the formulations undergo purity, quality and potency checks. There are no added chemicals and preservatives in our products. Ayurvedic medicines are much helpful in blood pressure control. Great post. Thanks! !